Akjagara Dual Pistols and Uru Sugatra available now! The design of these hard-hitting dual pistols is a mix of organic and bladed elements. Expressing the martial finesse and skill of its master, the Uru Sugatra complements the Uru Syandana used in the Tenno Absolution Ceremony. Get these new in-game additions by visiting the Market today! What are the Arcane Codices? A new character and a completely revamped version of Spy Mode await you in the Stolen Dreams Quest. Embrace your inner secret agent, Tenno! 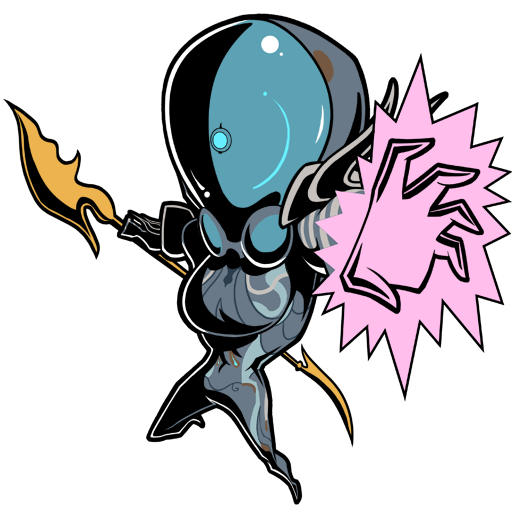 The Grineer have put out a capture order for a thief named Maroo – they claim she double crossed them and has sold precious Arcane Codices to the Corpus. 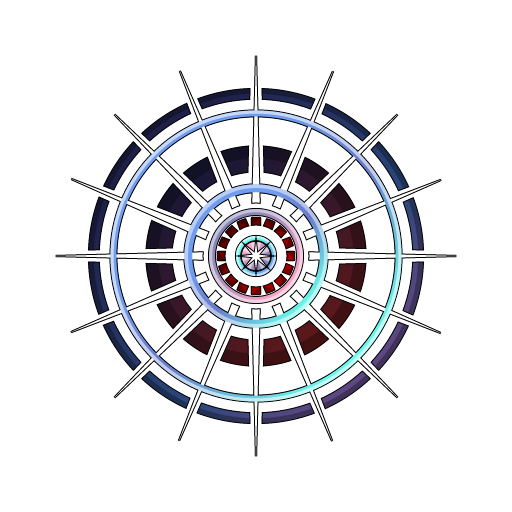 Concerned for Maroo’s safety – and excited at the idea of a new Arcane Codex – the Lotus is requesting that you bring Maroo in. Think fast, Tenno! You must plan your actions quickly and accordingly in this Quest. Failure to do so may alert the enemy to your presence and the Arcane Codex data may be destroyed. Complete this Quest and you’ll be rewarded with an Ether Dagger Blueprint and a Catalyst Blueprint. This new Quest is available for all players Mastery Rank 3 or greater. 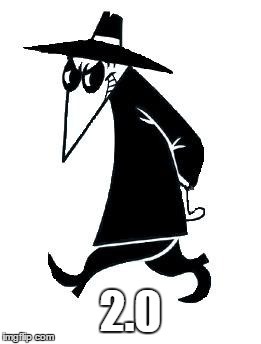 While our old Spy game mode certainly had small spy-like focus in stealing intel, most of the time players were happy to loudly murder their way through the enemy to get the job done. Who could blame anyone? 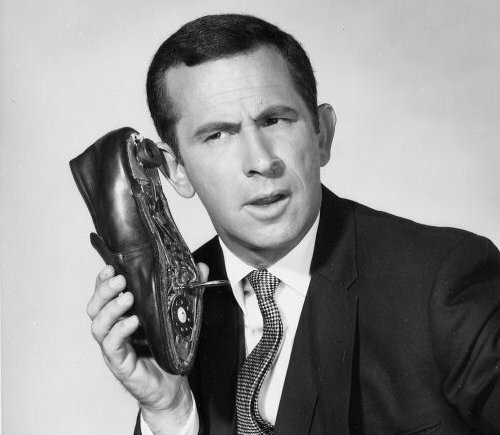 That’s why we sat down and gave Spy a total overhaul. With new elements focused on avoiding laser grids and sneaking past guards, stealth is paramount in Spy 2.0. Being detected will mean losing rewards and bonus Affinity, even when the Mission is complete. Stealth Streaks are here! Stealth kills can now receive Affinity multipliers if done in succession. Players will have 30 seconds from one stealth kill to the next to increase their Affinity multiplier, which goes up to 5x for melee and 2x for Ranged! Finisher damage will now increase based on weapon rank and enemy level. Finisher Damage for stealth kills capped at 8x damage with max rank melee weapon! The UI will inform you of your Stealth Streak where buff timers are usually located! We’ve made a wide variety of improvements to Warframe in some obvious, and not-so-obvious ways. 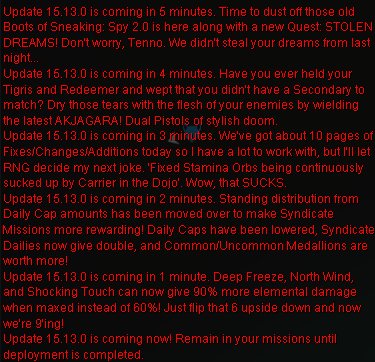 The following is a quick list of changes we’ve made, and where you’ll notice them the most! Lip Sync Improvements: The Lotus, and many other characters you see in Transmissions, have had graphical improvements made to their lip sync animations. Dynamic Exposure: Light sources change the way we perceive our surroundings, potentially turning a well-lit cave into a menacing cavern. Our new Dynamic Exposure will help better the immersion in Warframe, making the light sources in game far more real as you traverse environments. Seeing a consistent image across broad range of game lighting is biggest benefit of this new Dynamic Exposure! Ambient Occlusion: Just like how Dynamic Exposure will change the way light is perceived in Warframe, Ambient Occlusion will do the same for shadows. By using this more intelligent shading and rendering technique we’re furthering our work on more realistic lighting, and the differences in levels with heavy or varied light sources should be quite apparent! Particle System 2.0 for non-Nvidia cards: For a long time Warframe’s awesome particle effects have been locked behind Nvidia-specific graphic cards -- no more! All players should notice some increased particles attached to Warframe Abilities, and other in-game effects. Reverb 2.0: Just like Dynamic Exposure will change the way we see light sources in game, Reverb 2.0 will add another layer to Warframe’s immersion. Now enemies shouting at you down long hallways will echo, and weapon fire in open amphitheatres will sound much more pronounced as the sound bounces off walls. This system is still a work in progress, but if you happen to hear a dramatic increase in sound quality then you know the reason why! General PBR Updates: PBR graphical updates have been slow and steady these past few months. From weapons to Warframes and environmental textures we’ve put a lot of work into making every part of Warframe that much more visually stunning -- and we have no plans of stopping. More PBR updates will continue over the following months, so if your Orthos or Boltor Prime happens to be looking a bit sleeker it’s not just you. The following Mission Nodes on the Star Chart have had missing and mismatched rewards fixed. In addition, changes have been made for Defense, Survival, Mobile Defense, Exterminate and Rescue. Previously these Missions were not properly balanced to reflect the Mission's enemy levels, sometimes resulting in fewer enemies than intended in higher level Missions and more at lower level Missions. 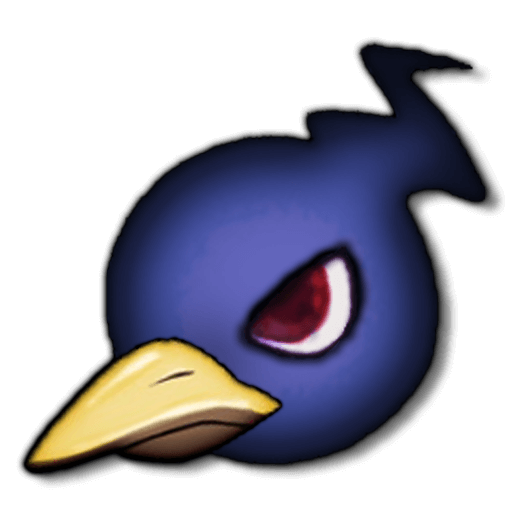 To simulate waves and grouped up enemies, previously survival enemy spawns cycled on and off for short periods of time. While it was a simple way of adding the desired pacing, we found that it was possible for players to get 'in sync' with killing enemies at certain times which left gaps of time where there were no enemies to kill and no enemies spawning, especially in higher level Missions with four players. Spawning now fluctuates dynamically with each enemy spawned. Max spawn rate is the same, but it's now the time between individual enemy spawns which changes instead of a blanket 'on' or 'off' state for all enemy spawning. Hopefully you will start to see more consistent spawning in higher level Missions with four players, as well as squads of enemies attacking together. In our tests we found that there wasn't a notable difference in low level Missions. Small life support drop rate was tweaked to compensate for the changes. Shields and HP are two critical elements to keep track of in Warframe, but when fighting enemies it can be difficult to keep track of how much damage you’ve taken in the heat of combat. This Update contains new visual and audio cues for when your Warframe takes damage in combat. When taking damage in combat damage will sound different depending on if your shields are down or intact. Additionally shields ‘breaking’ have a new audio cue to help you better keep track of when your health is exposed to enemy fire. · Improved audio on bullet impact, making it easier to hear where shots as passing by (or where your rounds are being spent). · Improvements to the Grakata's audio. · Sliding will now provide different sound effects, depending on what surface the player is on. There are a lot of variables that go into making an NPC more or less deadly, and accuracy plays a huge role in what enemies are most feared. These new adjustments to enemy accuracy will dramatically change how players handle foes. Each enemy will have increased (or decreased) odds of hitting a player based on the type of weapon they’re using. Sniper rifles, for example, will have higher accuracy at long range but will be more difficult for NPCs to use in close-range combat. Not only that, but our new system allows us to create custom draw rates that make some weapons more difficult for enemies to aim quickly with. Syndicate Leaders and Medallion turn-in representatives have been given idle animations. New Cache locations have been added to the Void! Added Void Key Rewards to Alert Missions (starting Feb 15). Syndicate allies will now aid your fight in Syndicate Missions! Syndicate hostages are now being held in Syndicate Rescue Missions! Loot waypoints can now be set for Syndicate Medallions, Oberon Blueprints and Stalker weapon Blueprints. These waypoint markers will be much clearer in what you’re alerting your squadmates of. Our Codex 2.0 Contest winners have had their art added to our Codex! Saryn’s Molt will now transfer enemies that ‘latch on’ to Warframes (Brood Mother Maggots, Swarm Moa Swarms, etc) instead of destroying them. Oberon’s Hallowed Ground will no longer create a second AoE effect on a second cast when the Hallowed Eruption Mod is equipped. Casting Frost’s Snow Globe inside of a Snow Globe you previously created will combine the health of both globes, eliminating the old Globe in the process. This will allow for greater combat visibility as your view won’t be obscured by opaque stacked Snow-Globe walls! Frost Prime’s Ice Wave now has a bit of Prime flair to its visual effect. Mag Prime’s Crush now has a bit of Prime flair to its visual effect. Increased damage bonus to Excalibur’s Furious Javelin Mod. Nova’s Neutron Star Augment now has a max range of 8 meters, in addition to some slight camera shake for effect. Made minor visual and audio FX changes to Frost’s Avalanche ability. Removed the initial radial damage of Ember’s Fire Blast, damage and the Heat proc now occur on the shockwave as it expands. Removed the white flash that occurs when transitioning into Loki’s Invisibility. Syndicate Medallions have been increased to provide 500, 1000 or 5000 Standing depending on Medallion rarity. Itzal Archwing’s Support Drones will now gain the same color tints of the Archwing. The ‘bounce’ effect that occurs when hitting an object has been reduced. This should help eliminate any pinballing when hitting a wall in close-quarters. Auto-turrets will now be open on spawn. Added health bars to Wyrmius bosses. Syndicate Daily Quests for Standing have received an Affinity overhaul! These changes should make Syndicate Missions much more rewarding to complete, in addition to decreasing the Daily Syndicate Standing Cap for non-Syndicate missions. Syndicate Daily Missions now give double the Standing they did previously. MR 0 could earn 2000 Standing before, now 1000. MR 1 could earn 4000 Standing before, now 2000. MR 2 could earn 6000 Standing before, now 3000. The following changes have been made to the Rakta Ballistica. Future adjustments may continue to be made, and feedback on any weapon are encouraged to be posted in the appropriate subforum. Rakta Ballistica’s crit chance has been buffed from 15 to 20 on charge. Ratka Ballistica’s damage on charge has been changed to 5 Slash, 5 Impact, 90 Puncture. Lighting adjustments have been made to Tenno Relays. 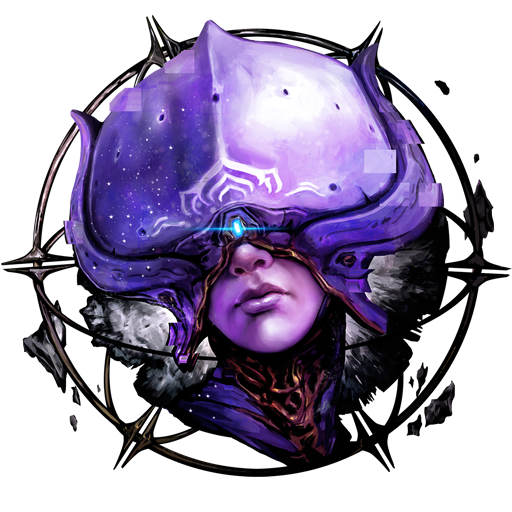 Various art updates have been made to Tenno Relays. Reduced the number of locked co-op doors in the Corpus Gas City tileset for Rescue and Intel game types. The Tar-Mutalist Moa, Sapping Osprey and Infested Alad V will now have their damage scale based on their level. Improvements have been made to glass and distortion effects in game! Sinister Reach will now extend the Amprex’s chain lightning effect. Updated sound effects on player and NPC footsteps. The Lynx is now immune to Mind Control effects. Made various background art updates to Corpus Archwing Sabotage and Exterminate Missions. Updated the Deep Freeze Mod to give up to 90% Freeze damage to match other elemental Mods. Updated the North Wind and Shocking Touch Mods to give up to 90% damage to match other elemental Mods. Attempting to convert an Arcane Helmet will now display a warning message to confirm your decision. Updated Natural Talent to now be a Rare Mod on Interception drop tables. Adjusted Ducat selling price of common Prime Parts from 50 to 10. Increased the amount of Fusion Cores you get in Void Survival Rewards depending on tier of Survival being played. Added a 3 x Orokin Cells to TIII Survival Rewards. Some Mission Ndes have been changed to the Grineer Galleon tileset (previously, Grineer Asteroid). 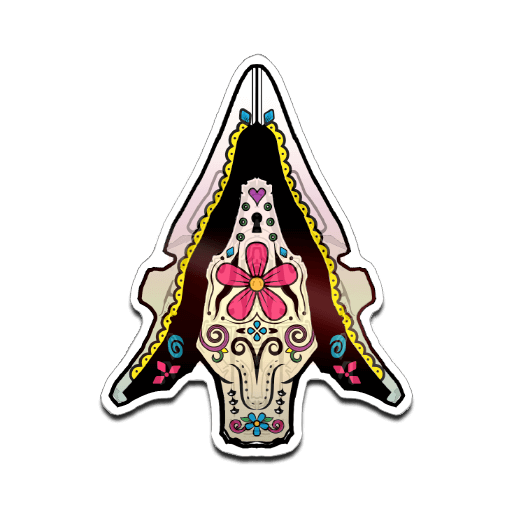 The bloom on Mutalist Incursion Tactical Alert Badges has been reduced. Reduced particle effect trails for Kohm’s projectiles. Player HUD and targeting reticule will no longer display in Relays. Wall running instructions in the beginning tutorial should now be easier to read and see. Mission Extraction cinematics will now cancel all emotes and actions. Various NPC changes have been made within Syndicates, adding more life to those who live there. Nightmare Mode nodes now have an updated Icon on the Star Chart. Made audio improvements to Mission Transmissions. Adjusted the Kohm to shoot a maximum of 5 pellets, in addition to dropping the fire rate but boosting projectile damage to compensate for dps. This should keep the Kohm’s damage relatively unchanged, while helping cut down on the graphical latency caused by the weapon. The World State Window will now show quests that you can start, in addition to incomplete quests. Added large viewing screens to the Relay Concourse. New Rescue Mission on Jupiter. Phobos Rescue tile was reworked for Rescue 2.0. Rescue hostages will now stick closer to players, instead of moving at their own pace. Rebalanced the MK1 Paris easier to use with comparable damage to the MK1 Braton. Void Mobile Defense maps have been reduced in size to cut down on the amount of travel Tenno need to do. Slightly reduced the Shield Osprey’s beam radius. Removed puddle of water that would occur around ice floor panel in Void tilesets. Fixed an issue where running would be cancelled into a walk animation when reloading. Fixed multiple item pickups occasionally causing a grey square to appear where the item’s art should be in the information feed. Fixed an issue causing a door in Orokin Void Survival Missions to never unlock. Fixed a rare issue where client could be disbanded from a squad before being able to join a squad they’ve received an invite to. Fixed the Jackal non-stop stomping players into nearby pits, forcing them into an infinite teleport loop. Fixed an issue in the UI caused by opening the Syndicate Offerings page followed by repeatedly pressing the Escape key (Pause Menu). Fixed various zoning issues on the Orokin Derelict tileset. Fixed ‘Hack Door’ markers appearing on locked doors in Rescue. Fixed areas of Archwing Exterminate Missions that, when entered, would cause players to become trapped by invisible boundaries. Fixed the portal in Void Sabotage being open at Mission start. Fixed the appearance of Slender Excalibur in Archwing Missions. Fixed ragdolled enemies in Archwing Missions becoming stretched. Fixed some enemies spawning inside of walls in Archwing Missions. Fixed Mesa Spectres getting stuck in Peacemaker. Fixed an issue caused by Oberon dying and respawning mid-duration of Hallowed Ground. Fixed players being able to see outside the level boundaries on Ice Planet Tilesets. Fixed Archwing turret corpses never disappearing. 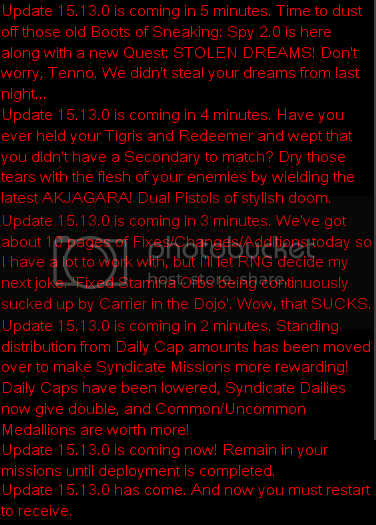 Fixed a typo in Cephalon Suda Syndicate Mission dialogue. Fixed an issue caused by Clans created with no name, or whose name leads with a space. Fixed Archwing’s vacuum effect crowding the screen with items. Should now funnel to a single location. Fixed various issues causing broken objective markers on the Corpus Ice Planet tilesets. Fixed inappropriate skybox holes appearing on the Corpus Ice Planet tilesets. Fixed various collision issues on Corpus Archwing Missions that would allow players to fly through terrain into open space. Fixed players waiting in a lobby for other players timing out from a session. Fixed an issue where pressing spacebar while on the View Mission Progress screen will instantly abort the Mission with no warning. Fixed rewards on endless Missions not advancing when a player comes back to a Mission mid-AFK. Fixed localization issue on inbox message received after killing the Jackal. Fixed an issue that would fail to send Gifts if the Gift message ended in ‘\’. Fixed the Syndicate Medallion count inappropriately resetting after death. The counter will now always be clear as to how many Medallions are left in a mission. Fixed chat that appears above player heads in Relays not respecting profanity filter settings. Fixed the Lotus making the wrong broadcast transmissions in Interception Missions. Fixed an issue caused by dying when Nova’s Null star was active. Fixed an early detonation of Nova’s Null Star not removing the ability timer. Fixed clients spawning in the incorrect location on the Earth Defense tileset. Fixed security consoles on Corpus Ice Planet being difficult to see due to thick ice. Fixed clients seeing Captain Vor throw 4 Lightning Traps instead of 2. Fixed Captain Vor standing still and doing nothing during third phase of fight. Will now properly shoot at Tenno skoom. Fixed any player being able to pick up weapons disarmed by the Drahk Master, instead of just the disarmed player. Fixed players having no way to recover the Datamass if it is not picked up at the start of the Corpus Gas City tileset. Fixed redundant End Mission transmission that plays at the completion of the Once Awake quest. Fixed players spawning on top of one another (instead of beside each other) during the final portion of the Archwing Quest. Fixed subtitles at Ducat Kiosk being impossible to read, hidden behind the transmission image of Baro Ki’Teer. Fixed clients captured by the Grustrag 3 becoming removed from the Mission, even if no other players were captured. Fixed multiple errors caused by using ‘pause’ or ‘unpause’ functions during dojo pigment research. Fixed Clan names displaying in Hubs even when the option to not see such information was selected. Fixed issue caused by inspecting a player in Archwing Missions as a client. Fixed an issue that would cause the player to become stuck in low gravity by spamming jump attacks. Fixed combo finishers for Bladestorm not showing up correctly for clients. Visuals should now match for client and host, in addition to the melee combo counter tracking properly. Fixed players no longer taking suffocation damage in Survival Missions if they revive after death once oxygen has been depleted. Fixed shoulder and leg attachments hiding player Emblems or Badges. Fixed an issue caused by switching to melee weapons while picking up an object, caused players to be unable to use melee weapons. Fixed an issue on the Grineer Galleon tileset that left visual holes in the environment textures. Fixed Corpus Gas City Defense entrance door having no shadow. Fixed issue where dragging a Mod into your loadout will cause the Mod to look like its ‘damaged’ variant. Fixed an issue where ranged enemies would stop using ranged attacks after meleeing once. Fixed a HUD issue showing the Berserker Mod as 1% less than it should be. Fixed Syandanas clipping through Trinity, Saryn, Zephyr, Frost Prime and Limbo’s clothing and armor. Fixed players being able to see through a hole into space on the Void Capture tileset. Fixed Clan invites not properly allowing invited players into the Clan. Fixed a large wheel that players could get stuck behind on the Grineer Asteroid tileset. Fixed Warframe Powers ceasing function after being mind controlled by Infested Alad V.
Fixed issue that would cause Mission Results to not appear after completing a Mission and returning to your Liset. Fixed missing drop information in Codex for Sprag, Ven’kra Tel and the Lynx. Fixed the ‘Remaining Hives’ text disappearing once players have entered the first Hive room in the Hive game type. Fixed Glaive sound looping forever after performing melee attacks. Fixed the Buzlok and Twin Gremlin being unable to equip Terminal Velocity or the Lethal Momentum Mods. 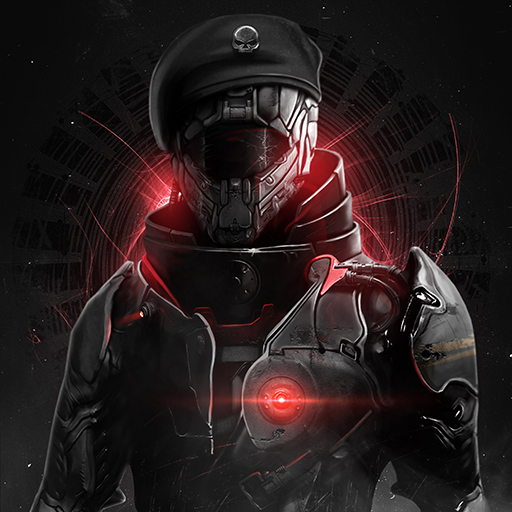 Fixed Corrupted Captain Vor not appearing after announcing his presence in a Mission. Fixed Corrupted Captain Vor teleporting through the floor, falling to his own death without providing any loot to the players. Fixed Interception points in player Tutorial showing as under enemy control, despite being under player control. Fixed broken Mission Result screen that appears when finishing a Dark Sector Conflict. Fixed missing text during Lotus transmission after player cancels a dual in a Dojo. Fixed not being able to exit out from the Archwing menu of the Arsenal. Fixed a lack of enemies leading into the portal room in the first Archwing quest. Fixed the text on the leaderboards showing as cut off in some languages. Fixed the Astral Twilight Stance Mod not appearing in the Codex. Fixed Ember’s Fire Blast shockwave damage numbers not properly appearing. Fixed Ember’s Fire Blast applying a push velocity while player was blocking. Fixed Bonus Affinity not displaying properly on the End of Mission results screen. Fixed an issue where Challenges were not being displayed when inspecting another players profile in a Relay or Dojo. Fixed unique energy colors not applying to the Telos Akbolto and the Vaykor Marelok. 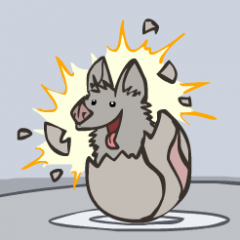 Fixed a crash that could occur on the Warframe Updater if a player signed into one profile, then signed out of that profile and restarted the game logging into another profile. Fixed an issue that would occur when entering the pause menu while in the Relay Star Chart, causing all planets to be pushed out of focus. Fixed an error message caused by sending a player multiple Clan invites, prompting an error message in English for all language regions. Fixed players being able to open the Navigation and Star Chart after inspecting another player in a Relay, followed by opening the Menu. Fixed some enemy types not appearing on the minimap for clients, or showing up as enemies of the player that has the Enemy Radar Aura equipped. Fixed Zephyr’s Tornado not properly sucking up all eligible enemies. Fixed Zephyr’s Tornado climbing into the air to chase enemies already being tossed into the air. Fixed the client HUD not always properly updating its information. Fixed Syandanas not being attached correctly when a player inspects another player. Fixed an issue that caused NPCs to not shoot accurately at clients. Fixed Lieutenant Lech Kril not targeting any players in the double boss fight. Fixed Syndicate Missions all displaying as Mercury when looking at your Friends location. Fixed a turret inappropriately floating in Archwing Missions. Fixed a wide variety of missing Codex information; including missing art from various art galleries, weapons, and enemies for the Corpus, Grineer, Infested and Corrupted. Fixed players being able to slide along walls in Archwing missions. Fixed Stamina orbs in the Dojo becoming vacuumed up by Carrier for eternity. Fixed an issue where a handful of low-tier Syndicate Missions might not be generated due to high-tier missions occupying all the low-level Star Chart nodes. Fixed an exploit in Rescue where players could leave the hostage locked in the safety of their cell while completing the mission. Fixed visual issue on pillars in Grineer Shipyards tileset. Fixed various Missions not saving player Inventory at the start of the Mission. Fixed players being unable to melee after interacting with the Datamass in Deception. Fixed an exploit in Interception Missions that allowed players to use Hydroid’s Tentacle Swarm to put Interception points into an uncapturable state. Fixed a rare issue where the Node name and Mission type appear incorrectly when loading into a Mission in the left-hand corner. Fixed an issue with Saryn’s Venom not properly reflecting player’s energy color on cast. Fixed clients getting credit for completing Quest Missions if host aborts mid-Mission. 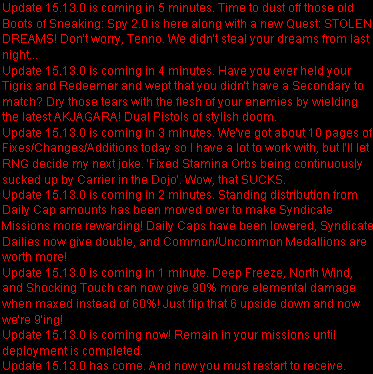 Fixed issue that would cause a failure to load the final Mission of the Archwing Quest. Fixed players only receiving one reward in Excavation Missions, regardless of Mission duration. If your post in a Hotfix/Update thread includes 'Still no fix for...."
1) Include a link to a relevant bug report/screenshot that has details on reproducibility and the nature of the issue. Without these details it is increasingly difficult to troubleshoot the specifics involved in resolving a bug. MR 19, here I come! that's one sweet wall of text. edit: Forma just rose to the popular list in the market. Adam, I found a typo in your lovely post. Some Mission -->Ndes<-- have been changed to the Grineer Galleon tileset (previously, Grineer Asteroid). Great update! Thank you DE. Why lowering the daily rep cap? DE does that mean hydroid drops on earth now? Finally Vay Hek is properly replayable. "Councillor Vay Hek will no longer require a key to access. 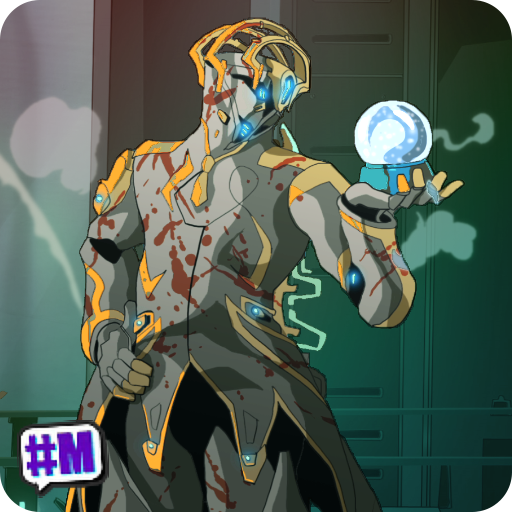 He is now a boss on Earth that can only be accessed by Mastery Rank 5 and above Tenno. Vey Hek beacons and Key / Key Blueprints may one day serve a future purpose..."
OMG, now onto Mutalist Alad V to come back to the star Chart, nice changes and updates DE. Ratka Ballistica’s damage on charge has been changed to 5 Slash, 5 Impact, 90 Puncture." wait wait.... Mag's fireball frenzy? New character? Female? Potentially linked to the Grineer??? In all seriousness: BGAAAAAAAAARRR!!!! MUST PLAAAAY!!! !